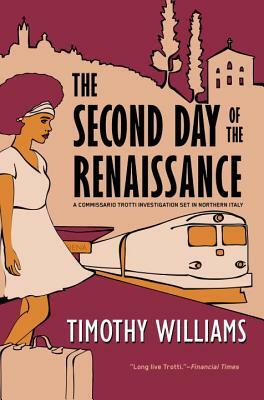 Timothy Williams was selected by The Observer as one of the “10 Best Modern European Crime Writers” for his series featuring Northern Italian police detective Piero Trotti. Now, 20 years after his last investigation, Trotti returns! After decades as a police detective in his Northern Italian hometown on the River Po, Commissario Piero Trotti has retired. But retirement brings him no respite. An old friend calls him to Siena to give him urgent news: a notorious hit man has returned to Italy to kill Trotti. The former inspector isn’t surprised to learn of the vendetta against him; Trotti has plenty of skeletons in his closet. His mistaken accusations and failed gambles have cost innocent lives in the course of his investigations. Though Trotti carries the burden of these deaths with him each day, now someone else has appeared to enact his own, long-awaited retribution. Traveling across Italy to escape his pursuer, Trotti revisits his own past and searches for clues to the cold-case murder of Valerio Gracchi, a leftist radical who became a national media sensation. But even the right answers may not save Trotti and his loved ones. CWA award-winning author Timothy Williams has written six crime novels set in Italy featuring Commissario Piero Trotti, as two novels set in the French Caribbean, Another Sun and The Honest Folk of Guadeloupe. In 2011, The Observer placed him among the ten best modern European crime novelists. Born in London and educated at St. Andrews, Williams has taught at the universities of Poitiers in France, Bari and Pavia in Italy, and at Jassy in Romania. He taught for thirty in the French West Indies but now spends his time between Europe and Africa. For more information, visit his website: https://www.facebook.com/thdw.co.uk.